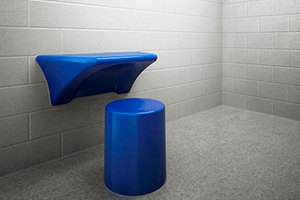 Max-Secure® Security Systems has been providing safe, secure, and attractive furniture for correctional facilities for more than 30 years. 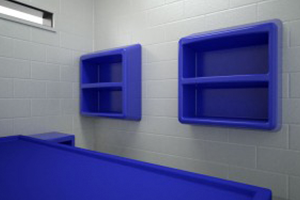 Max-Secure® has installed more than 25,000 components with a ‘no fail’ record. 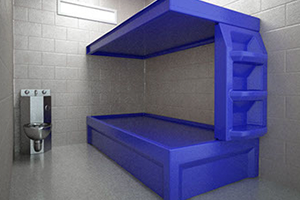 Our safe and durable furniture is made with a proprietary plastic composite, Herculite, that meets or exceeds industry standards for flame spread and smoke development. 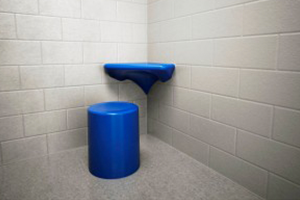 Max-Secure®’s one piece design with rounded corners and impenetrable fastening systems guarantee a safe and secure environment. 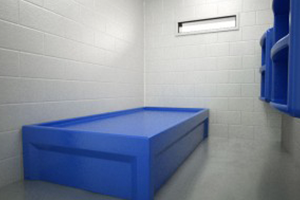 The durable satin finish reduces maintenance and allows fast and thorough cleaning. All Max-Secure® products come with an exceptional ten year guarantee that gives our customers confidence in the safety and security of their facilities. LOWER BED Lower level of the two bed bunk set. 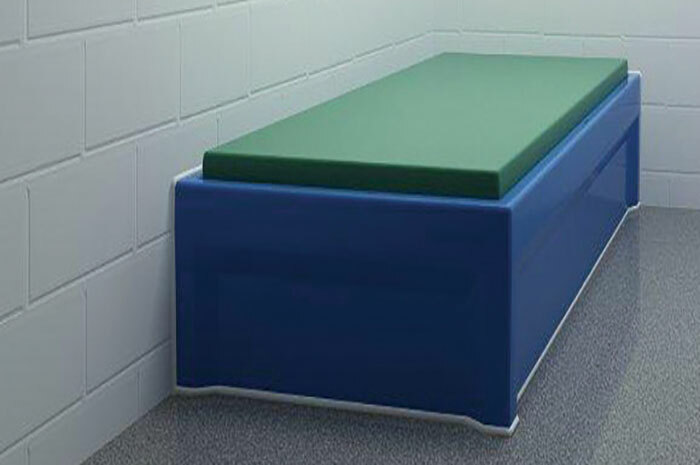 MULTI POINT RESTRAINT BED An easy to move bed unit to place in any living space. 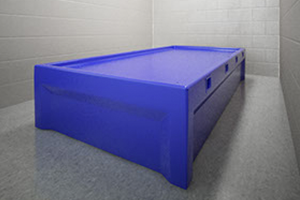 8 POINT RESTRAINT BED Easy to install restraining bed making it safer for resident and staff. BUNK BED The upper level of the two bed bunk set. 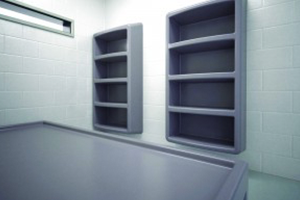 TWO SHELF LOCKER Two shelf unit, great for storing personal items. 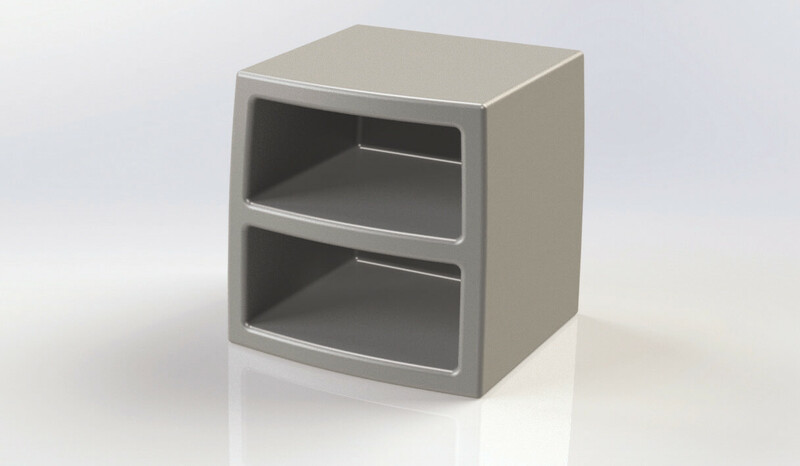 FOUR SHELF LOCKER Larger stronger unit, great for personal items. ROUND STOOL Companion piece to mounted desk. The round stool is a comfortable piece for any living space. 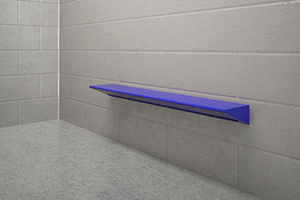 BENCH This unique item can be safely secured to the wall preventing tampering from residents. 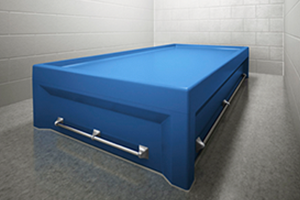 Mattress Max-Secure’s unique flame resistant vinyl, out mattress offers superior comfort an support. NIGHT STAND Comes with two shelves capable of storing important personal belonging.